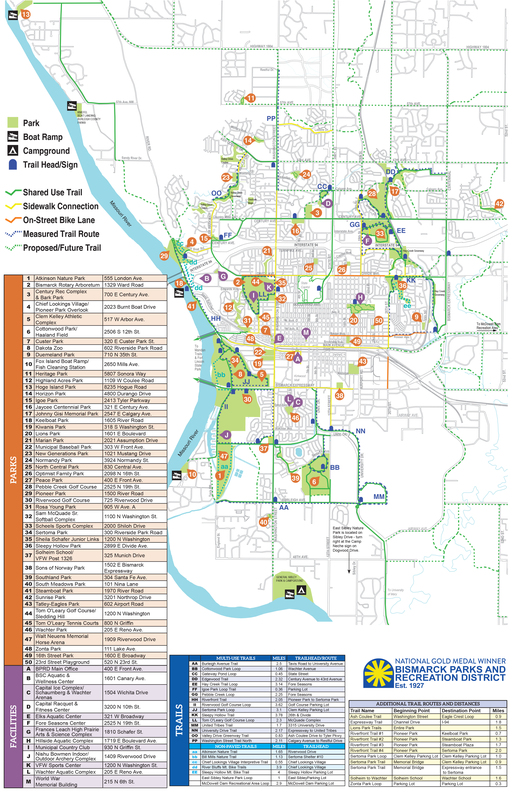 Click this image to view a printable PDF of our parks and trails system. A portion of the Pebble Creek Trail from 19th Street to Century Avenue has been detoured onto the Pebble Creek Golf Course cart path for the winter. Walkers, joggers and bikers please keep to the right when using the trails. Be aware of traffic approaching and behind you. Be aware of intersections and crossings. Please pick up you and your pet’s litter. Click here to view our educational trails. 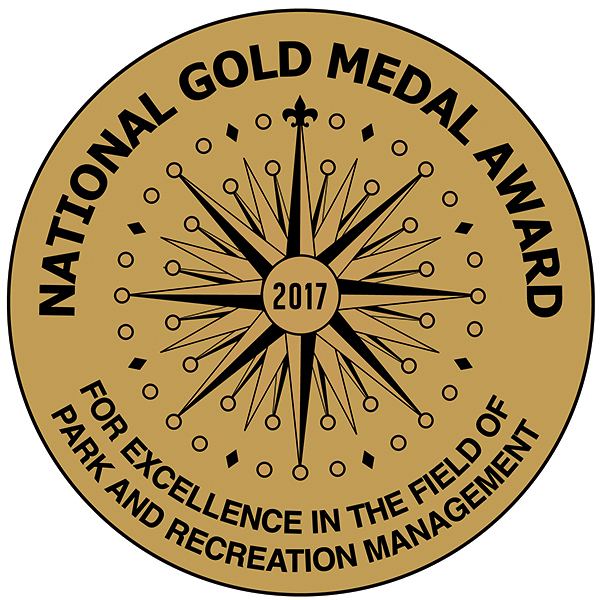 BPRD’s commitment to being a preventative healthcare leader is evident in the 75-plus miles of paved and unpaved recreational trails, 95 percent of which are kept open and usable during winter. Please check the orange Alert bar on this page to view news on trails that may be temporarily closed due to nearby construction and/or repairs. Acquiring land for park development is a Strategic Plan focus area. 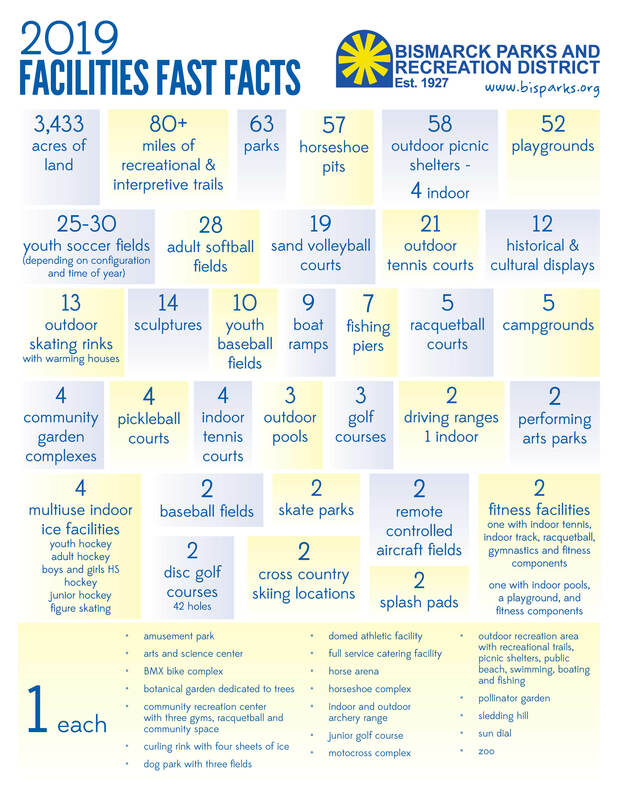 Since 2014, Bismarck Parks and Recreation District has added 434.8 acres of park land to its inventory, including six new neighborhood parks and selected Burleigh County parks, moving the dial from 40.9 acres/1,000 residents to 47.0 acres/1,000 residents.